Education is a huge part of living with diabetes. Unfortunately, many people with type 2 diabetes are diagnosed then leave the office with little or no education. If they are lucky, they’ll get back to their doctor’s office for a session with an educator a couple of weeks or a month later. But what happens in-between? Imagine the questions! What can I eat? How do I use this blood sugar meter? What do these numbers even mean? It’s paralyzing. So my clever friends at mySugr have come up with a solution. The first course (10 levels with animated videos, articles, tips, challenges, and more) is geared towards type 2 diabetes. We have type 1 stuff on the roadmap, too. We hope this online diabetes education tool helps fill the gap between diagnosis and initial education, and maybe even proves to be a powerful supplement to traditional diabetes education. I’d love to know what you think! I’d also love to know more about your diagnosis/education experience. Please leave a comment, or send me a private message if you prefer. I spent a day at Asante HQ* last week with a group of amazing diabetes brains, and among them was one I hadn’t met yet. Danica has rocked diabetes on YouTube for a long time, so I was really excited to see that she would be there, too. But the poor thing was feeling under the weather most of the time we were in town. She was still able to take part in the meetings and offer really great advice. I was totally impressed. She seems to have a good head on her shoulders and works hard to share her story. She’s also in nursing school, which I think is great. Danica has a LOT of great videos on her YouTube channel, and I just want to help make you aware of another great resource for people living with diabetes. *Disclosure: I am going to work with Asante on a regular basis above and beyond the purpose of this specific meeting. Asante Solutions paid for my travel expenses and lodging for this visit to their headquarters. I’m happy to announce that Juvenile Diabetes No Limits is heading back down to the Chicago area for another free driving clinic for teens with diabetes. This 1-day program is open to teens with diabetes ages 15-19 with a valid permit or drivers license. If space permits, 14 and 15 year olds can take part and learn (they can ride along, usually, but can’t do the behind the wheel exercises). The instructors have backgrounds in the auto industry, motor sports, advanced racing/driving schools, and high-threat driver training for the military and law enforcement, and more. Sounds like an amazing opportunity to me! Space is filling up fast for the September 27th class! There are only about 8 spots left – so register today if you’re interested! You can learn more about the program and free registration at Juvenile Diabetes No Limits. I recently finished reading “Diabetes and Wellbeing” by Dr. Jen Nash, and I really enjoyed it. 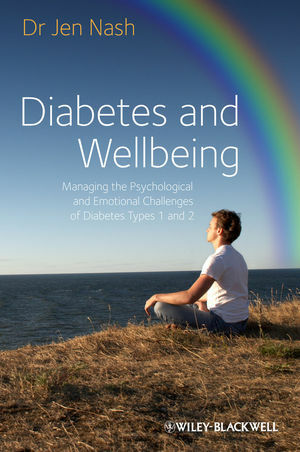 Subtitled “Managing the psychological and emotional challenges of diabetes types 1 and 2” Dr. Nash set out to help us find some good ways to deal with the challenges we face dealing with the daily demands of diabetes. There were many areas that really hit home for me, and many sections of the book where it seemed Dr. Nash could see exactly what was inside my head and already knew many of the things I struggle with. I found myself dog earing page after page, often even scribbling notes in the page margins. 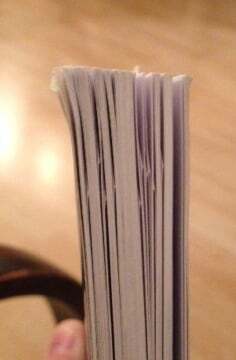 So many pages dog eared! One of the biggest takeaways from Diabetes and Wellbeing was a sense of normalcy to struggle with so many of these things. And to have a permission, of sorts, to explore these areas of diabetes that are not talked about enough. It gave me some tools and resources to explore these areas in my own head, which is something I’m often simply afraid to do, and it also helped equip me to have difficult conversations with my healthcare providers if necessary. This book takes an explicit Cognitive Behavioral Therapy (CBT) approach to making changes, and that was an approach that was agreed upon between Dr. Nash & her publishers before starting the book. Dr. Nash said that it’s just one of many different approaches that she uses to help people, but you should know before starting that you’ll find only the CBT approach here. The NHS website does a good job of explaining what CBT is if you are curious to learn more. I know that both Dr. Nash and the resource I offer here for CBT information are both from London, but that’s just a neat coincidence. This type of therapy is used widely around the world. That’s actually a great transition into something else I’d like to mention. Dr. Nash is from London, so there will be a few “UK’isms” that may catch you off guard. That typically means an extra “u” somewhere (colour vs. color, or behaviour vs behavior, for example), but you might notice other things that don’t quite fit. Wasn’t a big deal for me, but I’d be interested to know if you find other things that just don’t seem right to you as a reader from a different local. I’m sure Dr. Nash would love to know as well. Discount Code! Dr. Nash has graciously offered a 20% discount code that you can use to order Diabetes and Wellbeing if you’re interested. Visit www.wiley.com/go/nashdiabeteswellbeing and use code NASH1 when checking out. I’m also thrilled to share that Dr. Nash is joining us as a panelist for the 2014 Diabetes Hope Conference! Shortly after reading her book and connecting with her via Skype to chat, I asked her to get involved. She will bring an awesome perspective to our panel about the patient/doctor relationship, and I’m very excited to watch it! I hope you can tune in, too. To learn more and register for your free (virtual) seat, please go to DiabetesHopeConference.com. Disclosure: Dr. Nash sent me a free copy of Diabetes and Wellbeing, but did not ask me to write about it. I really enjoyed it, found it helpful, and wanted to share it with all of you. Before I talk about how much I enjoyed reading Kerri’s book, I need to disclose that she is a close friend. In general, I’m a fan of all she does. I’m also honored to be mentioned and to have contributed a few quotes in this book. There’s no way I can offer an unbiased review and I want to get that out of the way right up front. One of Kerri’s many gifts is reflecting praise she is due back onto the community that surrounds her. In a book that takes us through her life with type 1 diabetes, and the many different stages (diagnosis, independent care, friendships, college, work, relationships, pregnancy, parenting, and more) she uses that gift to make a book about her story and search for balance be much more than just about her. It’s a fascinating look at Kerri’s own experiences with diabetes, which is content worthy of attention all its own. But she’s also added commentary and quotes from nearly forty others. However this is much more than a collection of stories pulled together to form a book. Kerri shares her thoughts and experiences (both good and bad) in each section, then pulls in additional info from others to either solidify what she’s saying or to offer additional points of view. It’s easy to fall in love with Kerri’s writing style; it’s full of truth and humor, and presented in a way that you can’t help but relate to. If you like what you find on her blog, Six Until Me, you’ll find that same entertaining style and character here. Kerri is a master at her craft–storytelling with emotion, humor, education, and hope–and it comes through brilliantly in her first book. I found a lot of value from start to finish in the pages of Kerri’s book. Her words, and those of the many contributors, found an easy path right to the core of my life with diabetes. It felt as though our lives as adults living with diabetes shared common traits and a heritage of sorts, which is probably true in many ways. What I value most, however, is the open and comfortable dialogue about being an adult with diabetes – something that is too often forgotten about. Thank you, Kerri, for bringing that conversation to life. What are you doing for Valentine’s Day? Want to save a child? A small group of people who I highly respect asked for some help in spreading a message. If any one of these folks asked me, individually, for help, I’d not hesitate. So when they approached me collectively talking about how we could use social media for social good, I was all in. The idea was to take the typical “dozen roses,” so popular on Valentine’s Day, and save just one rose to spare the life of a child. “Spare a Rose, Save a Child” is simple: buy one less rose this Valentine’s Day and share the value of that flower with a child with diabetes in the developing world. Your loved one at home still gets flowers and you both show some love to someone across the world who needs it. You can find more information on the idea here, and there’s always information available at the Life for a Child site. Lots of news to spread today! Buckle up for some bullet points. Are you near the Washington, D.C. area (Crystal City, VA, specifically)? Come to the CWD Focus on Technology regional conference and expo happening next weekend, February 1-3, 2013. Sebastien Sasseville is the keynote speaker, and this dude is a total badass. He jogged across the freaking Sahara desert, m’kay? I’ll be doing a session with my favorite short d-blogger on diabetes devices in the real world. It also sounds like a handful of DOC locals will be getting together for dinner on Saturday night. I’d love for you to join us! Ronen Keinan asked for help recruiting early adopters to a new tool his team is working on called Medivizor. It’s a service that offers personalized information updates around serious or chronic medical conditions to people and their caregivers. They believe they have solved the ‘needle in the haystack’ challenge and are able to give you updates that are relevant, understandable, and actionable. If you’d like to help them out, head over to medivizor.com and sign up. I recently finished “Islands and Insulin” by Erin Spineto. Erin lives with type 1 diabetes and was drawn to challenge herself by sailing a 22-foot sailboat down the Florida keys and writing a book about the journey, from conception to completion. It’s an enjoyable mix of love, learning, diabetes, and adventure. The book will hit the shelves soon, and if you’re looking for a fun book with plenty of diabetes mixed in, this might be a good one for you. I’m loving the new look of the Insulin Nation website! I’ve always enjoyed their content and the new site design makes it easier to get to. If you haven’t had a look, please go check it out. “Iron Andy” and his crew are doing great work there. Are you a subscriber to diaTribe? If not, you should be. We spoke to Adam Brown, co-managing editor, on DSMA Live last night. diaTribe is a top-notch publication that provides incredible information that’s super easy to understand. And it’s free! I recently connected with Stanley Rak, from Food Facts, a website that says it is the largest, most comprehensive internet source for nutrition facts. Anyone out there used this site yet? How does it compare to Calorie King (what seems like the gold standard for many)? At first glance, it looks pretty impressive, especially how it lists common allergens and calls out controversial ingredients. Thoughts? Do you know about Glooko? It’s a cable for your iPhone that connects to a bunch of meters and downloads your readings. They’ve just released their Logbook Charts site which allows you to get a better look at your information. Along with that, they are introducing their brand new community blog which will focus on real people with diabetes, better ways to use Glooko, as well as recipes and wellness information (site is no longer online). I have a stack of books in my office that I’d like to read. It’s almost as tall as I am. When Carli sent me her book I wasn’t sure how soon I’d be able to read it. I made the mistake of cracking it open just before dinner the same day it arrived. I wasn’t able to put it down until I finished it late that night. Carli writes with her emotions. Each of her words are drenched in the deep mental syrup that almost any of us know all too well. Just as you feel she’s going to take it too far, to over-saturate her work with all of the feelings and hard-fought words, she backs off a little bit and finds that great balance that makes for an enjoyable and moving read. You won’t find any “how-to” help in this book, nor any of the mechanics of diabetes. This book is all about Carli growing up and learning to live with type 1 diabetes. We hear of school, camp, unhelpful doctors, dating, and some general misconceptions. I ended the book wanting to know more of Carli. Maybe we can convince her to start a blog! Carli’s book retails for about $15 on Amazon.com for the paperback, or about $10 for the kindle version. Carli sent me a review copy at no cost, but didn’t ask me to write (or not write) about it. She’s created a quality piece of work, and I’m happy to say that I enjoyed it. I hope you’ll check it out and will enjoy it as much as I did. In my case, I’m talking about Ginger Vieira, and there’s no substitute for her. But if you can’t get yourself a Ginger (Vieira! ), then a good friend will do just fine. Either way, you need somebody, and I’ll explain why. Late in 2011 I started looking for a church to attend. Earlier in the year, a good friend, and pastor, lit the fire for Christ in my life. Just months later he was tragically taken by lung cancer. It happened so fast. As I continued the journey he started me on, I knew that one of the next steps was to find a church to belong to. It doesn’t bother me to say that his church didn’t do it for me. So I spent a few months visiting a number of local churches trying to find a good fit. During one of the visits I listened to a message that made me think of Ginger. This message made me think about how much I appreciate her, value her skills, and treasure her friendship. This message was all about cleaning out the garage, and like many church messages it was heavy in metaphor. This pastor was talking about doing spring cleaning in the garage. His regular ways would have him grab the giant push-broom and do a few circuits of the floor, getting the big dirt out of the main areas. He’d do these big sweeps and call it clean. He ignored the crevices and corners of his garage because they were the scary parts. Dark and dim, potentially full of big, scary spiders and insects, and who knows what else. If he ignored these areas he wouldn’t have to face the scary things that have been swept aside and ignored. But his wife’s tools of choice were a small broom, a dustpan, and a flashlight. She would inspect the dark and scary corners, which, when illuminated and examined, really weren’t that scary after all. This got me thinking about working with Ginger (after I was done thinking about Jesus 🙂 ). For many areas in my diabetes life we were digging into some scary things. And just as I was ready to turn away and ignore the mess, Ginger would hand me a big spotlight and put her hand on my shoulder. She let me know I wasn’t alone in examining that corner of my garage. Many of the messes are still there, as it’s taken a lifetime of sweeping things aside to make them what they are today. But Ginger has helped me chip away at some of the fear involved in self-inspection, which has gotten me started on cleaning the mess rather than adding to it. A friend and a flashlight is sometimes all it takes to push through a fear that is holding you back. I’ve been playing with a Telcare system for the past few days. Telcare is the world’s first cellular-enabled blood glucose meter that will automatically upload readings to an online logging portal. I was excited to try this system because it is such a giant step in the direction many of us have been waiting for. A meter that automatically sends information to a web-based logging system. I like automation. We have automation in many areas of our lives, and for a long time automation in the world of diabetes has been lagging behind. This system is a small step in the right direction. Bravo Telcare, bravo! This is a pre-production version, so I wasn’t able to use it to make therapy related decisions. But I played with real blood, and did a bunch of play-tests with it. Being pre-production also meant that some of the features of the suite weren’t quite ready for show. Specifically some of the two-way communication and custom messages. I think that is pretty cool, and a definite plus for us out there living with diabetes, though it may be a challenge to get healthcare providers to spend the time necessary to really use this to its full potential. I also think the healthcare professionals will need to be super careful how they word these messages. The last thing I need is another reason to feel bad about a reading that is not in target. Hey Scott – Dr. Strange here. What the hell did you eat to get THAT reading?! Of course I’m exaggerating here – but I don’t think it’s a stretch to imagine some less-than-supportive messages coming from some clinic offices. On the upside, if this is done right, I think it’s a huge opportunity to educate. Can you imagine a personalized message from your doc saying “Dude! Nice job!”? That would buoy my spirits a little bit. It’s also a great opportunity for caregivers and patients to connect more closely. It almost seems too good to be true, but there are no monthly service fees, no fees to access the online portal or mobile app, and the meter itself is, in my opinion, very reasonably priced for all it offers. Strip cost? How does cheaper sound to you? The initial starter kit, without contract, is about $150. A bottle of 50 test strips is listed at $55.95 (compare to a 50 count bottle of OneTouch Ultra strips, $58.99 at drugstore.com). The contract starter kit, which appears to require a 1-year commitment to buy at least 4 vials of strips per quarter (at a lower, contract rate of $35.95 (!) for a 50-count bottle), is $99.95. I felt that the meter was a bit large – especially compared to some of the smaller meters on the market today. But given the capabilities, it’s very reasonable. A bit too big to realistically live in my pocket with all of my other stuff, but then again I’ve never carried a meter in my pocket (I’m still using the CoZmonitor system that clips onto my pump. I’m in for a serious lifestyle change when I switch pumps and have to start carrying a “meter kit” around). The Telcare meter makes phone sounds. Where a different meter might offer a ‘beep’, the Telcare chooses a touch tone sound – like a phone – get it? I had to chuckle and grin when I first heard it, and I think it’s sort of cute. The volume can be adjusted or the sounds turned off if you don’t share my low entertainment value. Oh! It should also be noted that there is an “airplane” mode that turns off the radio during flights. You can still test your blood sugar, but the readings will not be automatically uploaded. Once on the ground again, you’ll have to manually trigger an upload from the meter history (for now, each individual test has to be uploaded rather than being able to send them in a “batch” – much like a failed text message on an iPhone). Automatically uploading stuff is very cool, but if this thing is going to fly for me, I have to like the system my data is uploaded to. Telcare has an online web system called “MyTelcare”, as well as a mobile app. Both are decent, if yet a little rough around the edges. Certainly better than my clipboard, even right out of the gate, and I have a feeling that both will evolve and add features over time. This is cool, and a huge step in the right direction. Don’t sleep on how big of a step this is. The FDA has cleared a BG meter with cellular communication technology! This may open so many doors for us down the road – and that is what excites me.